Ahhhh, nothing like the wicked winter to wreak havoc on your favorite equine partner. I brought my beloved mare out to ride the other day with a good friend on a pretty afternoon, only to find her just not right. After beating the emotional “upset” out of my mind, I was able to think logically. 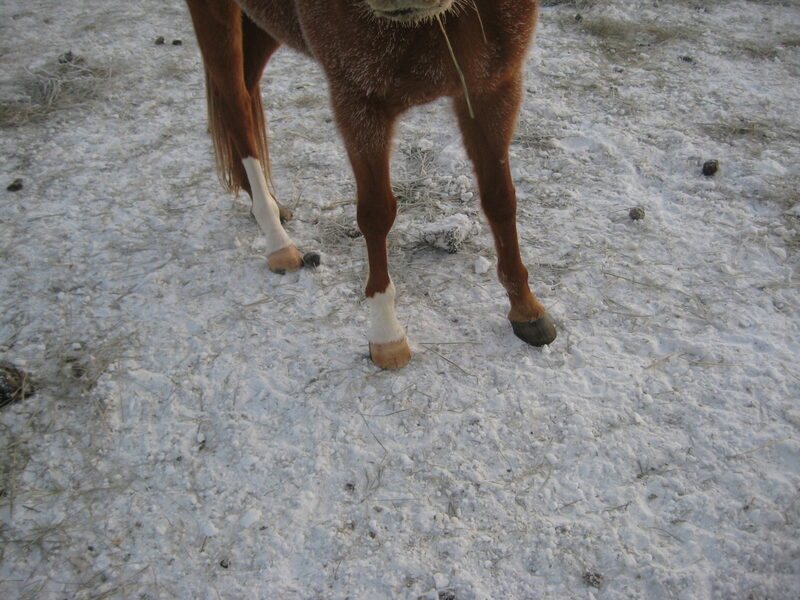 Winter is horrible for our barefoot horses, and in my case. I was able to identify the cause of my mare’s misery. She was just darn footsore. Three potential causes come to mind, and the first was the nasty, hard, frozen ground. –27 degrees is NOT a fun number! I started wondering how many of people are faced with the same problem? How many people are watching their horses carefully walk through pastures filled with frozen potholes, and what are you doing about it? For me, well I am waiting for the end of the week. We are finally supposed to be getting a break. 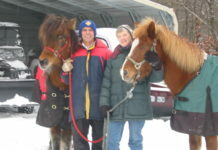 Temperatures in the upper 30’s will allow the footing to thaw, and give the horses relief from the rock-hard terrain. This horse is lucky enough to have a layer of snow over the frozen earth. Our pastures are much different than this- footsteps of yesterday’s treks through the mud are now frozen into hundreds of ruts and holes. I won’t ever complain about mud again!! 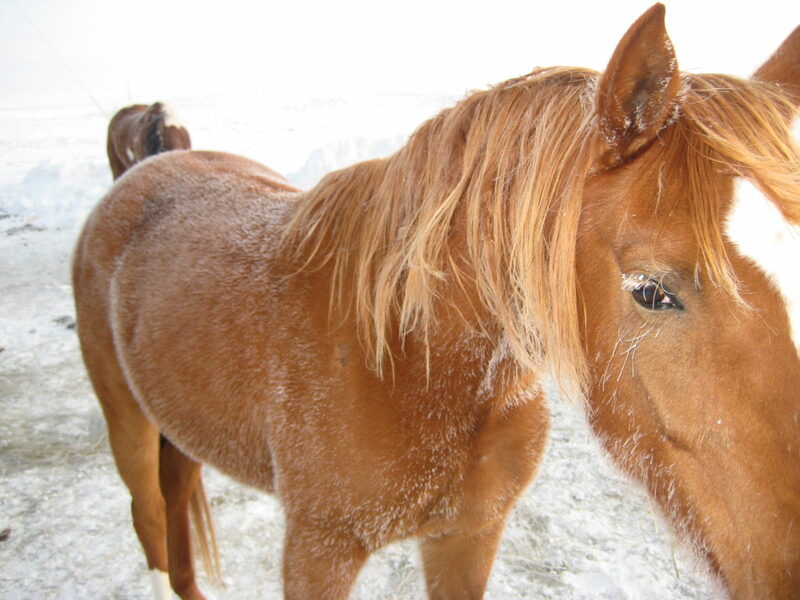 Frozen ground in the horses’ everyday living environment has to be one of the most common causes of winter footsore ponies than anything else. I know the calls to the equine hospital for similar findings have been plentiful. If it wasn’t supposed to thaw this week, I would be gluing four boots onto my mare at the blink of an eye to offer relief. What will you do to help your footsore pony? Many people turn a blind eye, as I admit to as well. If it were a perfect world, we would have truckloads of pea gravel in to offer them relief, but, it is just not in the cards for us. We have to instead rely on other methods, and I will never be caught without boots in the dead of winter EVER again. They surely would have provided comfort in the midst of serious discomfort. 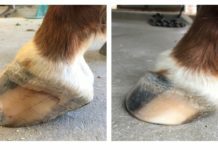 How have you managed your barefoot horses this winter? Part two to come is talking about the lack of growth in the winter and ways to help with that. 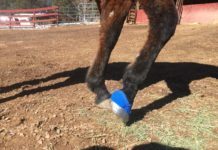 Founded in 1970, EasyCare Inc. is the global leader in equine hoof protection. Our mission is to improve the well-being of horses by providing the equestrian community with superior service, education and innovative equine products.